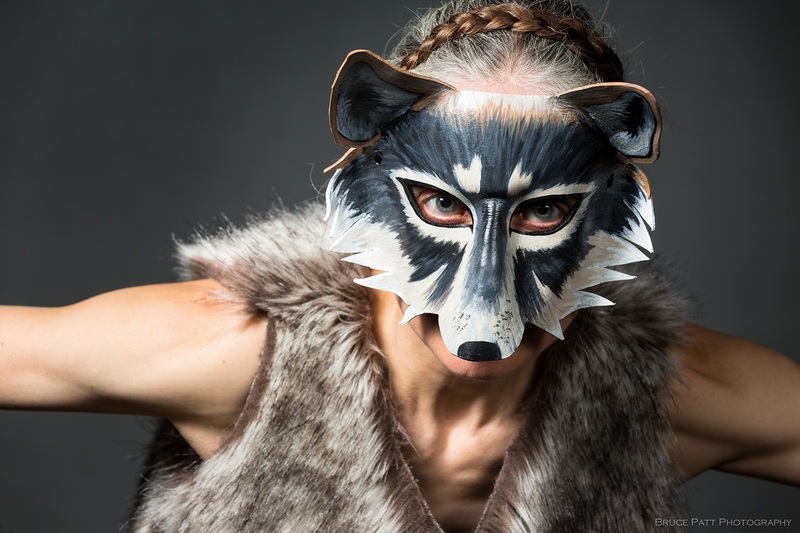 Local residents can enter a wolf’s world at an Earth Day presentation of “Call of the Wolf,” featuring a performance of “Journey,” the story of a lone wolf that crossed into California as told in original poetry, dance and music. Professional storyteller Tom Wade will accompany the performance, presented by Cool Davis, with “Stories from the Wolf’s Den.” The event, which is suitable for ages 9 and older, will run from 2:30 to 4:30 p.m. Sunday, April 27, at the Veterans’ Memorial Theater, 203 E. 14th St.
A donation of $10 adults and $5 for children is suggested. With Yolo County Supervisor Don Saylor as the master of ceremonies, the Earth Day gathering also includes the presentation of the Cool Davis 2014 Eco-Hero and Climate Solution Awards to individuals and groups that have made significant efforts to reduce their carbon footprints in the areas of transportation, consumption or building efficiency. City Council members Rochelle Swanson and Lucas Frerichs will present the awards. A reception will follow. People who spend time with wolves often are impressed by their friendliness and playfulness. Wade brings this side of wolves to life, sharing tales of their generosity, intelligence and uncanny intuition. The Ecokinesis Dance Company and Crane Culture Theater offer the compelling story of a young male Oregon wolf, dubbed OR-7, who won worldwide fame while trekking across mountains, deserts and highways looking for a mate. Sonja Brodt choreographed the dance in which Brodt (OR-7) and Lindsay Rubin (everyone else the wolf encounters) perform to the haunting percussion and flute music of Meri Superak. While Forman narrates the story, their dance captures the experience of the wolf with all the grace, cunning, exuberance, weariness, loneliness and triumph of a solitary wolf making his way in the wild. The audience is lifted to a new understanding of survival. 2013 Eco-Hero Diane Swann helped select this year’s award winners. “The nice thing about receiving an Eco-Hero award is that it lends visibility to your cause,” she said. “People listen to you and momentum builds. Given his commitment to biking and his concerns about climate change, John Swann is unabashedly enthusiastic about the awards. Guests are invited to a reception in honor of both the performers and the award recipients. There will be opportunities to sign up as a Cool Home, or browse the action tables for ways to address climate change. Guests who walk, bike or ride the bus earn a chance to win a cool prize.